The success stories are many. Over the years, the Cargills business model has brought benefits to producers and consumers alike – making a difference in lives that reach beyond business boundaries – to community empowerment and wellbeing – and a stronger nation. 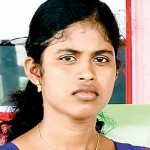 Verharvanam Anushiya hails from Puliyankulam – a small town in the Vavuniya district. Anushiya’s parents are village farmers – the family’s passion fruit and pumpkin plots are their main source of livelihood. For years, the family barely made ends meet, struggling to grow and sell their produce under much hardship. Ambitious and bright, Anushiya was a high achiever who excelled in school and dreamed of furthering her education. As the daughter of struggling farmers however, dreams of a university education seemed nothing but wishful thinking. Anushiya’s life changed when her family joined the Cargills network. With Cargills providing a guaranteed purchase of their produce, together with technical support and education with regard to improved and more efficient farming methods, the family’s crop output began to grow and improve, as did their fortunes. Today, Anushiya works with Cargills, while pursuing a Bachelor’s Degree in Agriculture at the University of Batticaloa on a scholarship awarded by Cargills. ‘Cargills transformed my family’s fortunes. My ambition is to complete my degree and with the assistance of Cargills, which I know I can count on, to become an Agriculture expert – and give back to the community and watch the farming community thrives’, she said. Anushiya’s sentiment is one echoed by thousands of farmers in the Cargills network. across Sri Lanka, the Cargills Saru Bima Farmer Citizens Award, recognising their outstanding contribution to the communities they live and work in. The occasion also saw over 200 students receiving Scholarships towards higher education while 500 farmers received medical insurance policies during the ceremony. The scholarships and insurance policies are a result of the fund established by Cargills Saru Bima – a concept where the company gives back 50 cents for each kilogram of vegetables purchased from the farmers in the community to be utilised for community empowerment. Since its inception in 2008, the fund has enabled hundreds of children to pursue their education, while also empowering farmer communities through community funds and facilities, a media release by the company said. In 1999, the Company reached out to the agricultural community by establishing a collection centre for vegetables. “ Engaging with the agricultural community it worked with, today the company works closely with over 10,000 farmers across the country, sourcing 80,000 kilograms of fruits and vegetables and 90,000 litres of milk every day. This direct engagement with the farmers”. the release said. Sunitha Padmini was among 18 farmer community leaders who received the Cargills Saru Bima Farmer Citizen Award this year. 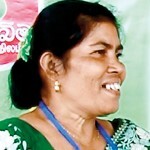 As Secretary of the Farmer Society in Thanamalvila, Padmini counts a considerable experience in working with Cargills. Through the knowledge gleaned with working with Cargills, and with the Company’s support, Padmini plays a vital role in educating farmers on an array of subjects, including proper methods of produce storage, the advantages of the use of compost manure in favour of chemicals and the proper preparation of it. Village farmers often have no access to technical know-how and knowledge enhancement, relying instead on traditional farming methods, which may be outdated in these times. In this context, Cargills provides an invaluable service in empowering these communities with the knowledge, skill and tools to survive and thrive, while ensuring optimal production and utilisation of local resources – a vital step towards agricultural self-reliance. Farmers’ lands are chemically tested and farmers are advised on the best crops to cultivate, ensuring the best possible output. 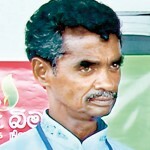 Subramaniam Sathyakumar from Killinochchi says that originally his family had trouble selling their produce. When they joined the Cargills network, they were given assistance and advice, along with a purchase gurantee. 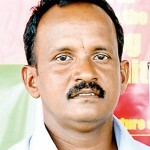 Sathyakumar was one of the first to join the Cargills network in Kilinochchi. ‘When I joined the Cargills network, it was the first time I sold all my produce. Since my association I have increased my crop output, variety and grown my business, enabling me to employ others and pass on the Cargills benefit’, he said.